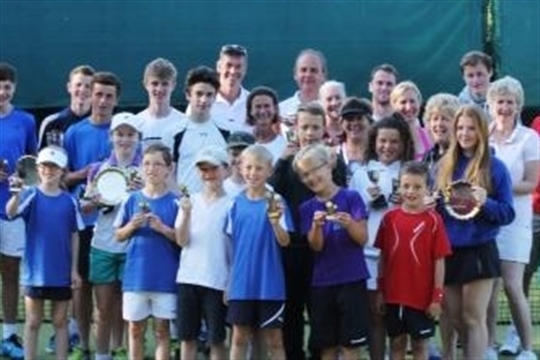 Bishop Sutton Tennis Club is a large, friendly and thriving club in a lovely rural setting. We have 5 courts and a Kidzone with practice wall. 3 courts are synthetic grass and 2 are all-weather hard courts. 4 are floodlit. 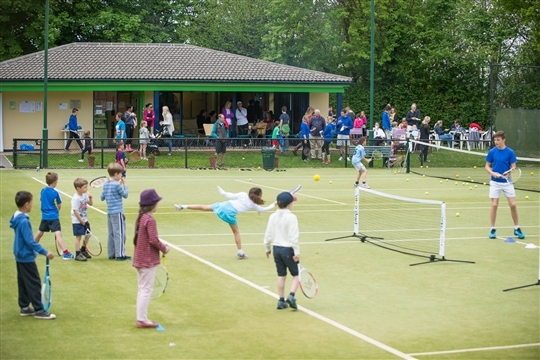 The club also has a satellite site at Chew Valley School (Chew Lane, Chew Magna, BS40 8QB) where we have access to another 4 all weather courts which are due to be floodlit ready for the start of 2019. These courts can be booked on our court booking system and are referred to as CVS Court 1-4. 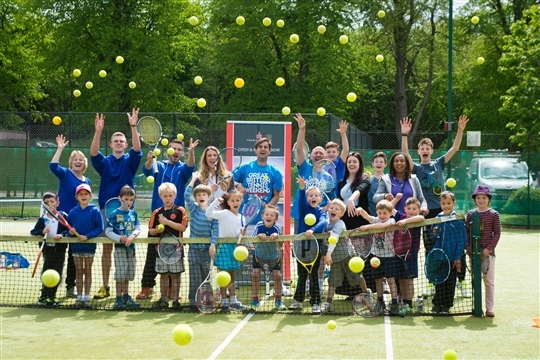 We offer a wide range of social and competitive tennis to suit players of all levels and from 3 years to 80+, and we have an extensive coaching programme aimed at both adults and juniors. 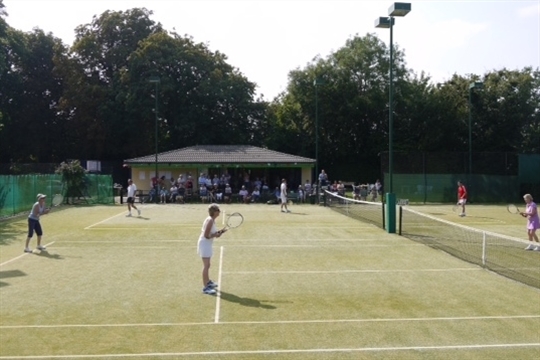 For those interested in competitive tennis we enter 7 adult and 11 junior teams in local Summer leagues, and 3 adult and 8 Junior teams in Winter leagues. 2015 was another successful year with our Adult Senior Mixed league team winning the First Division, a great achievement. Also we hold an annual club tournament over the summer months - players of all abilities get involved in this and it is a great way for new joiners to meet existing members. We look forward to welcoming you to our friendly club. We have a number of membership packages available.